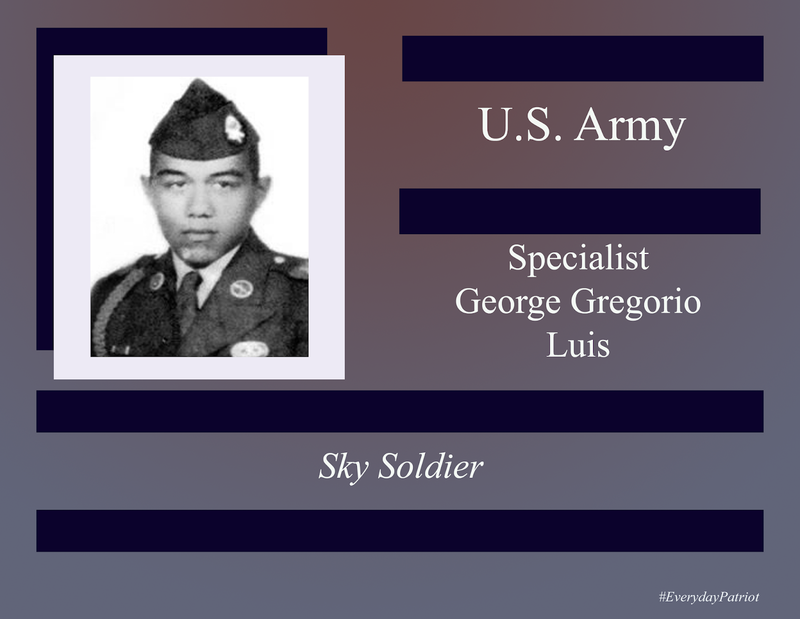 Specialist George Gregorio Luis was born on May 9, 1945, in Pahoa, Hawaii. After enlistment in the U.S. Army, he was assigned to the 173rd Airborne as a rifleman and deployed to Vietnam. 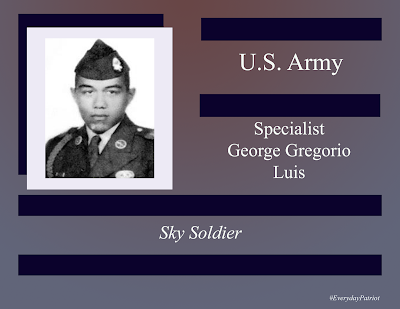 While on patrol in the Binh Duong Province, also known as the "Iron Triangle" Specialist Luis was killed in a small arms firefight on October 22, 1965. He rests in the East Hawaii Veterans Cemetery at Hilo, Hawaii.